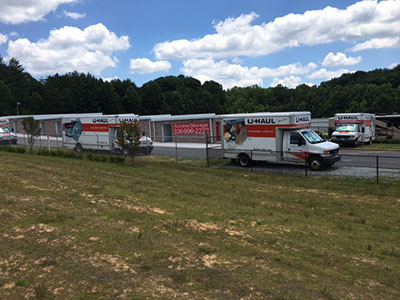 We are the oldest, largest, and highest rated U-Haul Dealer in the Kernersville area. We have truck and trailer rental services with 24 hour drop-off capability. Insurance available on a per day basis. Whatever gas you use, replace. Rates vary and are dependent on ‘where’ vehicle is being dropped off, therefore please call for prices, alternatives, and reservations.